Crowdfunding can be a quick and easy way to meet unanticipated, pressing needs. Today, anyone with a smartphone can participate in making a difference with great ease. More and more people are now raising funds online to tackle emergencies more efficiently. Increasing digital access and the convenience of online payments are driving more and more Indians to take the digital route to mobilise greater support for urgent needs on time. India’s private healthcare spending is estimated at $90 billion a year. Of this, about $60 billion is out-of-pocket: from savings, borrowings and support from friends and family. This is where crowdfunding plays a role, bridging the gap, and making it easy to both ask for and render financial assistance. People have always turned to their friends, family and communities at a time when a significant amount of money is required to deal with urgent medical crises. What started as a platform to fund rural projects and micro entrepreneurs, is today widely utilised by Indians to raise funds from friends, family and a wider social network for medical needs, loved ones and charity. Milaap is soon becoming the go-to platform for funding cancer treatment, transplants and other critical emergencies. Milaap addresses the many challenges of giving (such as difficulty in discovering the right causes, trust deficit and overall donor apathy. They share stories of (pre-qualified) individuals and groups with a network of its trusted community and partners, who either specialize in providing and managing microloans to their local communities, or can connect with the cause to help with a donation. As of February 2018, the platform has raised over INR 285 Cr to support 100,000 causes, impacting millions of lives across the country. Currently, donations for medical emergencies form an overwhelming majority. The platform, a majorly utilitarian one is constantly striving to take the concept of online fundraising to more and more Indians. Backed by the increasing penetration of social media and the popularisation of digital payments, Milaap has quickly become India’s most preferred platform to raise funds for personal causes. An alumnus of the National University of Singapore, Anoj leads the team in India, largely overseeing all of Milaap’s business operations. The desire for a world where people can express support and encourage each other inspired him to start a crowdfunding platform that would be simple and accessible to everyone. His past experience has been at the intersection of technology, finance and social good through his professional roles with ReEx Capital (Investment boutique for renewable energy), Bharat Financial Inclusion and D.light design (next-generation solar lighting products) , and MicroAppli (social network for mobile photos and videos). Mayukh leads the strategy and product at Milaap. 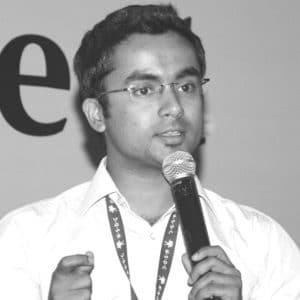 Mayukh has spent considerable time in building technology enabled financing models – working in consumer lending for renewable energy products at D.light, then in developing a tech-enabled commodity financing company as the Head of Collateral Finance with one of India’s leading agri-logistics providers. He has been a financial risk consultant in Dubai, where he worked with top banks and asset management firms. 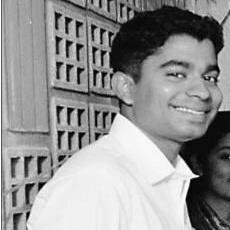 Mayukh has a bachelor’s degree from IIT Madras, and a PGDM from IIM Lucknow.